Munich High End 2017 was our first show appearance in two years. 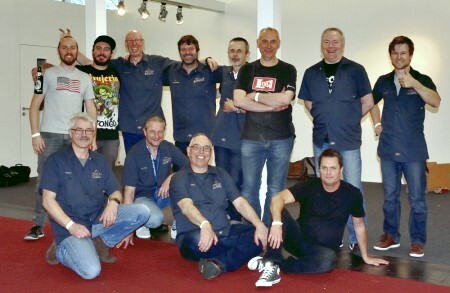 An operation in late 2015 limited my own ability to do shows, so when MachOne Classics invited us to take part, manager John Cadman rose to the occasion. MachOne Classics are a dealer/distributor from Ingolstadt in the German state of Bavaria run by Robert Andorf. They represent PTP Audio; Graham Slee; Audion; Zu Audio; Spatial Audio and Beaudioful. 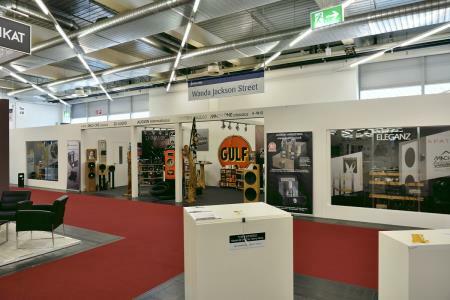 All these makes took part and provided the necessary sponsorship for the 80 square metre MachOne Classics stand. There were two demo cabins. One using Zu Audio speakers, and the other using Spatial Audio speakers. In between was a reception area with product displays. Zu Audio used a vinyl only set up with PTP Solid and Rega turntables operating into a Graham Slee Reflex C phono stage and the all new Accession MC phono stage, with amplification by Audion. Turntables were equipped with Zu Audio DL103 moving coil cartridges. Spatial Audio used a vinyl and digital audio set up, again with PTP Audio and Rega turntables fitted with Zu Audio DL103 cartridges. 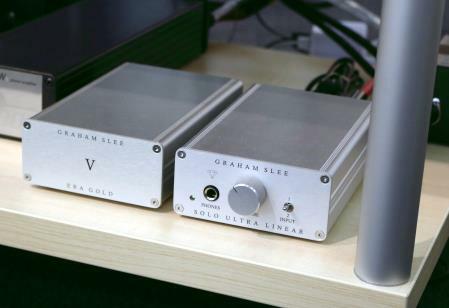 Phono stages were the Graham Slee Gram Amp 3 Fanfare and the Reflex C. For digital the source files were played out of a MacBook Pro via USB into a Graham Slee Majestic Pre/DAC and amplification was again by Audion. Racking furniture was provided by new start up company Beaudioful - Markus Klug and André Schwager from Ingolstadt. 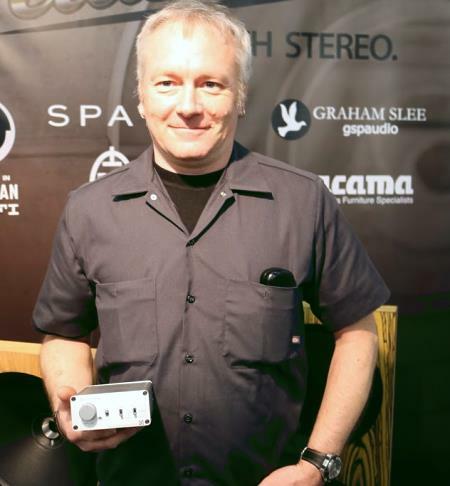 HiFi Pig's Stuart Smith was quite impressed saying "I've never heard zu speakers sound better tbh". The equipment supplying the signal might well have helped in the process?? As a result of the show we are pleased to welcome two new distributors: BCA Denmark and AA Services Switzerland. Elsewhere John found Peter Laitt of PLanalogue who we met at the Aylesbury Road Show in 2014. Peter makes the Prelude turntable and is an Era Gold V phono stage owner. He was using it along with a Solo Ultra-Linear Diamond Edition headphone amplifier, or by an AstinTrew amplifier into Pearl loudspeakers to demo the Prelude. Over to the right there is an assortment of photos taken at the show.